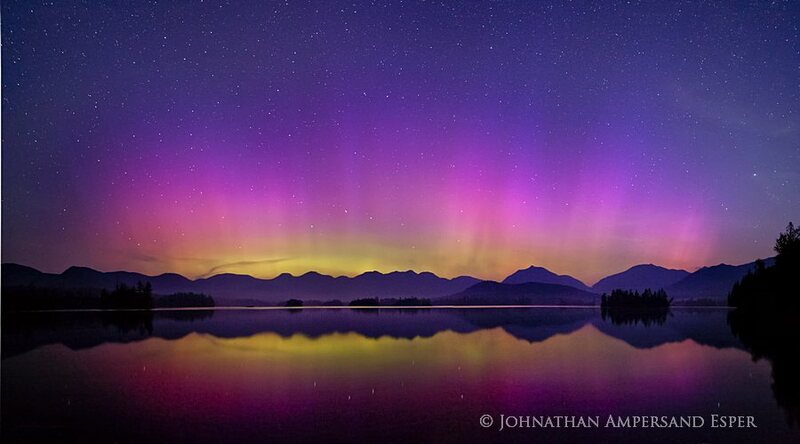 Aurora Borealis (Northern Lights) over Elk Lake, High Peaks region, on a night in July 2012. Blake, Nippletop, Dix, and Boreas Mountains reflected. Photo © copyright by Johnathan Ampersand Esper.